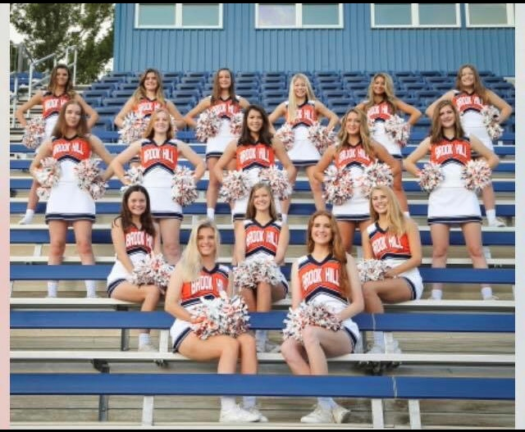 The purpose of the cheerleading squads at The Brook Hill School is to promote school spirit, to lead students, fans and athletes, to continue traditions, and to establish an enthusiastic atmosphere on campus and at athletic events. 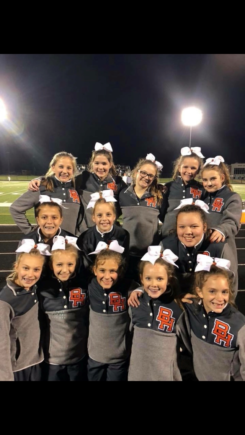 The cheer program at The Brook Hill School is comprised of a Varsity squad (students grades 10-12), a Junior Varsity Squad (students grades 9-10), and a Middle School squad (students grades 6-8) and a Lower School squad (students grades K-5). The 2018-2019 Guard Cheer team went to NCA camp at Moody Gardens. All three squads received the NCA Spirit Stick Award, S.T.U.N.T Safety Award, Motion Award, and received a bid to NCA Nationals. The Varsity Squad had every member nominated for NCA All American. The Varsity Squad was named 2018 Top Team. 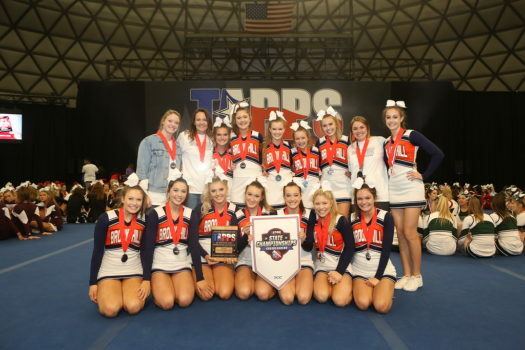 Guard Cheer Competition Team was named State Runner Up at the TAPPS State Cheer Championship. Gracie Campbell was named -1st Team All State; Avery Moss was named 2nd Team All State; and Leah Rogers was named Honorable Mention All State. The competition team also competed in the FCC Texas Showdown. The team was Division 1 Varsity Champion and FCC Grand Champion. Guard Cheerleaders cheer at volleyball, football, and basketball games. They participate in the TAPPS State Championship in the Small Squad Division 1. Each year the cheerleaders serve many community service hours individually. The team has participated in Feed the Hungry, Ring the Bell, and many veterans events locally. Tryouts are typically in March. Students interested in trying out must be enrolled in Brook Hill prior to tryout date. Middle School Cheerleaders attended NCA camp in Galveston, Texas. The team received superior and excellent ribbons. 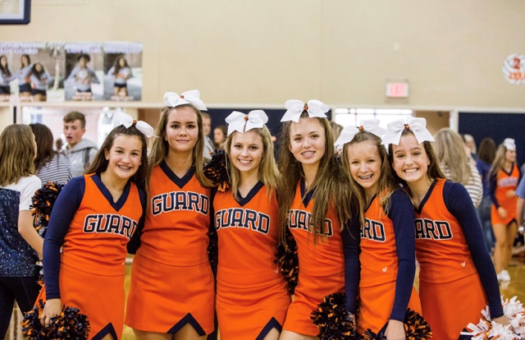 MS Guard Cheer is made up of 6th – 8th grade girls who want to promote school spirit and set high examples of leadership abilities.